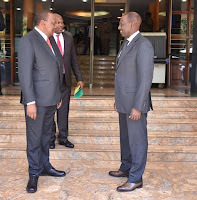 Wednesday March 27, 2019 - President Uhuru Kenyatta's rare visit to Deputy President William Ruto's office and have lunch with him yesterday may have been triggered by the DP's suspected boycott of events presided over by the Head of State. According to sources at State House, Uhuru decided to call Ruto and arrange for an urgent lunch meeting after the DP failed to attend the swearing in ceremony for Education CS Prof. George Magoha which was held at State House. It was the first time that the DP had skipped a swearing in ceremony involving a senior Government official and the President had to act fast to neutralize the situation before it blows out of control. 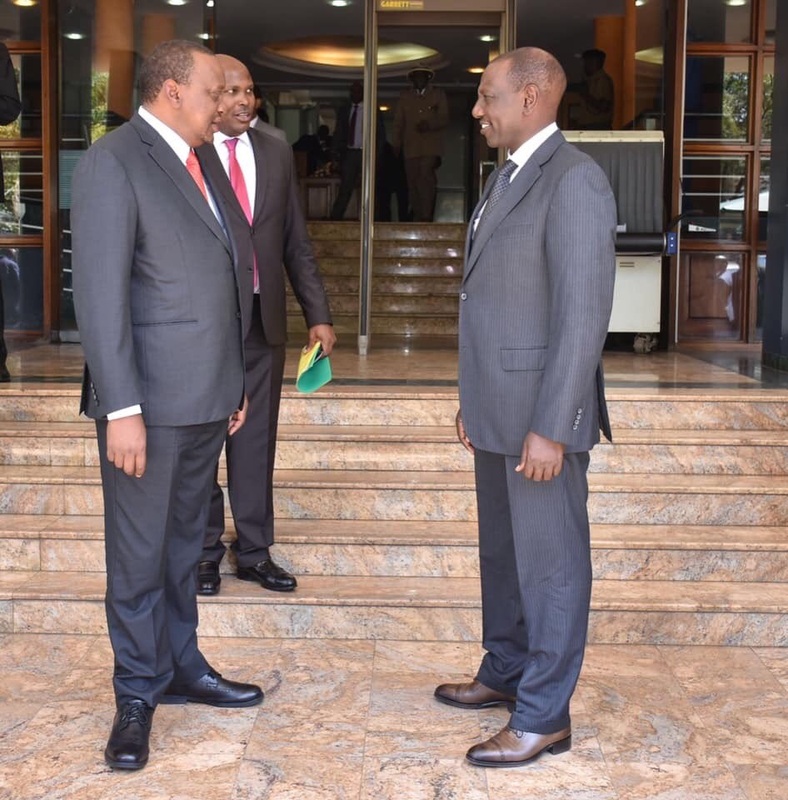 Ruto had also failed to show up at KICC where President Kenyatta opened the 124th session of the International Coffee Council, a clear indication that all is not well between the President and his deputy. It is not clear why Ruto nowadays snubs Uhuru’s events but it is a concern for the President.